420 Week: Deals, Contests & More! 420 is always a special time of year, but this time around we are taking it up a notch. Starting Tuesday, our staff will dress up in themes every day until Saturday 4/21. 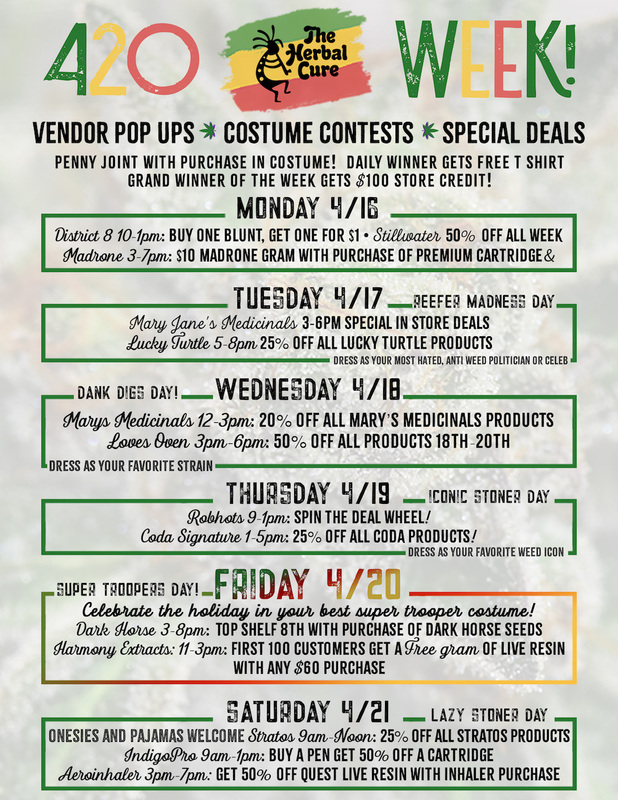 If YOU dress up in the themes, you get a penny joint and a chance to win our grand prize of $100 in store credit! Each day also coincides with different vendors offering amazing, one-time deals.